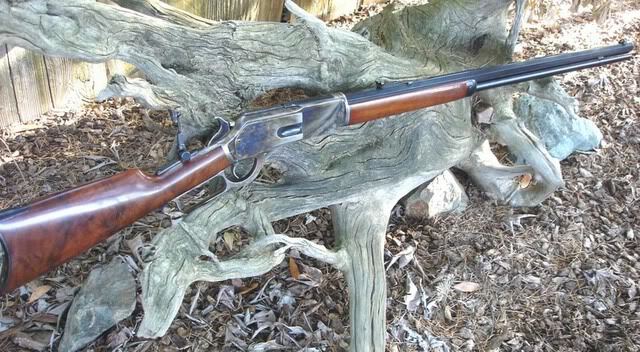 I have a Uberti 1876 rifle from Taylors & Co. with 28" barrel in .45-60 that I have owned for several years. Quality is excellent and it has an exceptionally beautiful buttstock. It is a very good shooter, although it weighs 11 lbs. and can be difficult to hold up during extended shooting sessions. I set it up with a Marble's tang sight for silhouette shooting, which I later changed to an MVA vernier tang sight. Brass for the .45-60 can be made simply by shortening .45-70 brass to 1.89", but one minor drawback is that the .45-60 has a thinner rim, so each .45-70 brass has to have the top side of the rim filed down about .005" to chamber properly. Not all of the reproductions have this issue, as a friend has a Cimarron 1876 (also made by Uberti) that will chamber the brass without having to thin the rims. Having lost my home along with all my ammunition and reloading equipment to last summer's Carr Fire, I have not shot my rifle in close to a year. I recently bought 250 pieces of brass from Starline and have them all trimmed and the rims thinned. I got new RCBS Legacy dies, a new bullet mould, and a new RCBS lead melting pot, so hopefully will be able to shoot it again in the near future. I had done a great deal of load testing and had a good load for it, but unfortunately all my reloading records were also lost, so I will have to start over with this rifle and all my other ones too. 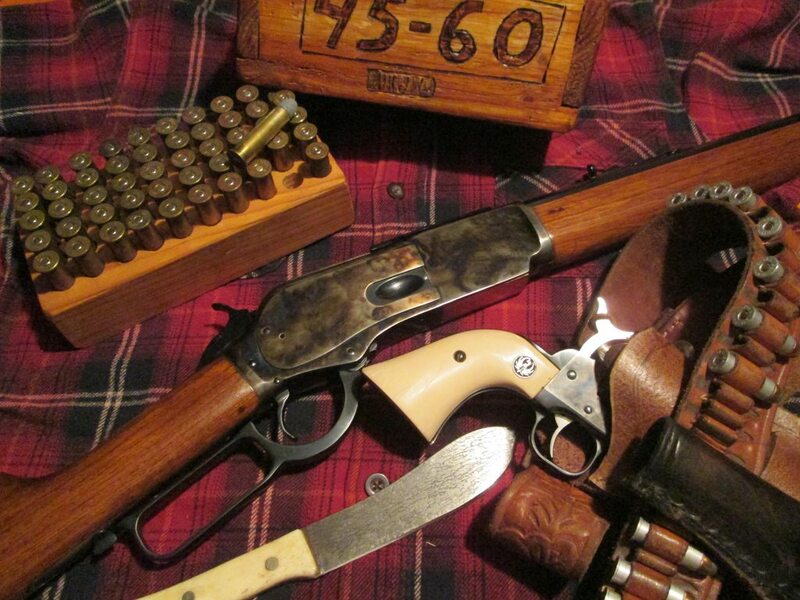 I have a Uberti 76 in 45/75 with the larger "Uberti" chamber. It's a beast for sure, but I love it. I haven't hunted with it, yet, living in Illinois there isn't much we are allowed to hunt with a rifle. I have a small problem with the main spring falling off, not sure how I'm going to fix that, still thinking on it. Got 2 new springs from VTI and they will not work at all. But, the rifle itself is very accurate and fun to shoot. I prefer it over my 86's. I have a Chappy in 45-60 and really like it, the history of them is great just cool. I got luck and got a pretty nice and smooth one though i did go through it and slicked it up more. I have a Chappy also. Mine is in .50-95. I haven’t shot it in a long time but it’s a good shooter with loads it likes. 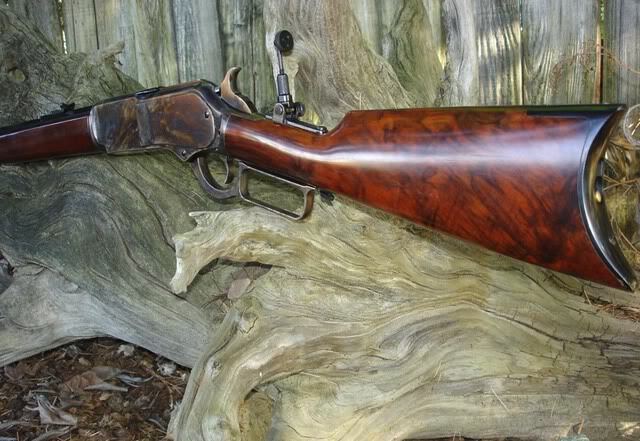 Though not on question, I've always thought the '76 a handsome rifle but the '73 rather unattractive--something about the proportions of the side plate, I think. Using the Powley computer, I dreamed up some .30 and .35 wildcats on the .40-60 case.